“Will you Marry me?” The 4 word that Mukesh asked Nita in the middle of a Road is something that still brings Goosebumps to her. Yes, this is the love story of the famous business tycoon Mukesh Ambani and his wife, the ever gorgeous Nita Ambani. So, how did Mukesh and Nita Ambani love story started? Nita came from a family with background in dance and music. Nita mother was a famous Gujarati folk dancer of her time, which encouraged Nita to take up Bharatanatyam as an art form when she was just about 5 years old. Nita Ambani has performed a lot on stage ever since. In one such performance was when Dirubhai Ambani saw her. He was impressed by her grace and the love for the art form and the fact that she was passionate about her culture wanted him to make her his daughter-in-law. Dirubhai Ambani immediately called Nita to fix a meeting at his office. Nita was hesitant at first, but since her father insisted her to meet him and she agreed. Little did Nita know that she was going to become a part of the Ambani parivaar. As Nita went to meet him, Mr. Ambani started talking to her in a very friendly tone and tried to make her feel comfortable. Nita was relaxed and jovial, that’s when the bomb exploded. He asked her if she would be willing to meet his son Mukesh (A matchmaker indeed!). Nita was quite reluctant at first but agreed. How did Mukesh and Nita meet ? After few days, she met Mukesh at his place. A well-groomed man in a white shirt and black trousers, Mukesh surely managed to impress her well. From that day, the two spent some time to understand each other better, and slowly it led to them falling in love. 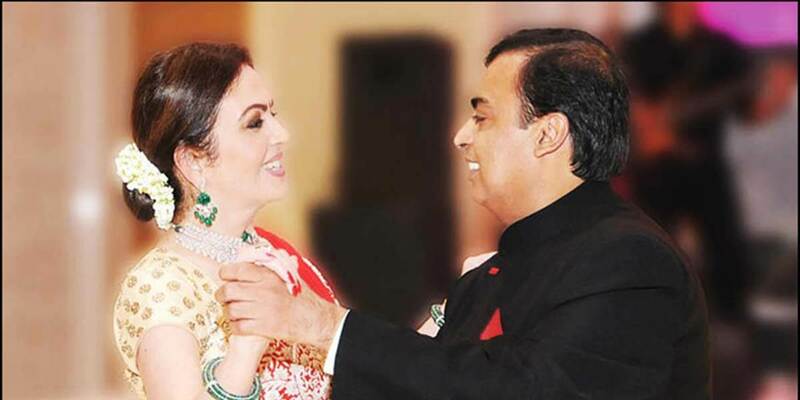 How Mukesh Purposed Nita Ambani ? It was 7:30 in the evening and they both were on a drive on Pedder road in South Bombay, when Mukesh suddenly proposed to her, “Will you Marry me?” :at the signal. Nita was shocked, she didn’t have an answer. Mukesh insisted her to give an answer or he won’t move the car. The traffic was building up, people were yelling, the honking noise and all Nita could hear were the 4 magical words. She immediately said Yes! And so began their love story! A story of togetherness. This unique story is no less than a fairy tale. Despite Dirubhai Ambani being the cupid here, Mukesh met Nita and saw the rest of his life in front of him. That’s the power of love and it takes everyone down, but with different versions.